Choosing your work boots will not always be the easiest thing to do, yet with the right work boots, life will be so much easier. With so many brands to choose from, it can be hard to find the ideal boot that meets all of your needs and all of these brands are definitely top quality, which does make it somewhat harder at times. 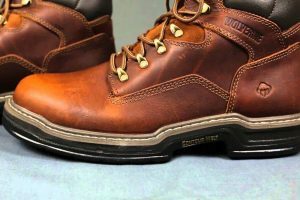 This is where we come in and we have done some in-depth research to find the top work boots from the Wolverine and the Red Wing brand. These work boots are certainly rated among the best when it comes to a quality boot and it might be hard for some to discern between them. 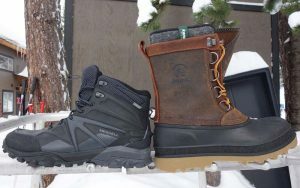 Here is a complete overview of the Red Wing and the Wolverine boots for you to see which one is the best. When it comes to quality, the right boot is definitely something you need and durability will be one of the main, if not, the most important aspect that many people will look for. Both of these boots are made from top quality leather materials and they both hold up well in all conditions. 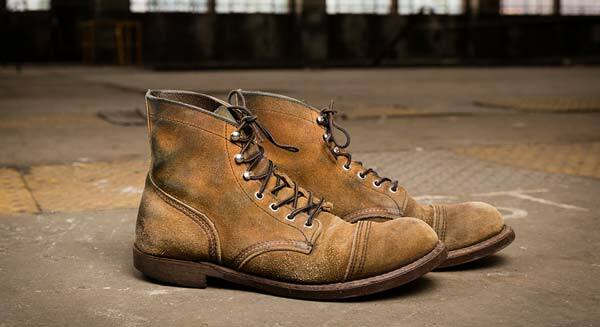 Red Wing: The Red Wing brand has put a lot of emphases and focus on the quality and the overall durability. The boots are made from premium grade leather and this is one of the main drawing factors for choosing a great boot. The leather is tanned and colored in different tones that will meet all of your specific needs for choosing a specific boot. Wolverine: These boots are quite similar when it comes to the quality and much like the Red Wing brand, Wolverine boots are also made from premium grade leather. However, the boots might not be tanned in too many colors, but they will be a little softer and this makes them somewhat more comfortable to work with for long periods. Red Wing: With designs looking close to that you would expect to find in some of the 1950’s boots, the Re Wing brand brings the older and more cultivated style back into fashion. However, they have recently moved on from this style to something a little more advanced and the modern designs also seem to go well with the general public. Red Wing has certainly spent a lot of time focusing on the appearance of the boot in recent years and with this modern design, the boots have also become a little more functional in the field. This is perfect for those in need of something multifunctional. Wolverine: Wolverine has placed a lot of emphasis on providing the user with as much comfort as possible for their feet. The boots seem to be a little larger and this will be ideal for users with larger feet, while the designs are still rather modern. One of the biggest differences I found with both boots is the weight and the Wolverine boots do seem to be somewhat heavier. Nevertheless, this additional weight is not always a bad thing and the weight is filled with safety features. The stylish design of the boot means that in the modern age it will fit perfectly with virtually any outfit that you could choose to wear. We have also seen many companies recommend this as one of the boots for the job. Red Wing: Even though the designs do seem to be a little older with these boots, the Red Wing brand is one of the top brands when it comes to safety features. In most of their boots, we have seen them take the more traditional approach and this does mean that they tend to stick to steel toes for the safety features and protection. While this might not be the best choice for those working close to electrical hazards, it will be perfect in the logging industry and users who need something only for protection should find these boots to be the perfect fit. Wolverine: Since Wolverine does have somewhat more of a modern approach to the boots, they have included the composite toe and this comp toe design should ensure that you have a little relief when it comes to the weight of the boot. The weight of the boot is fundamentally important and weight up this to the safety is also rather important. 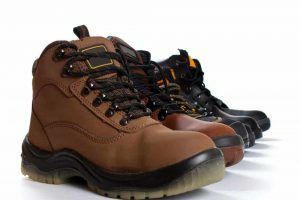 Wolverine boots are perfect for hazardous situations and since the composite materials are not great at conducting electricity, many of these boots can also be compared to some of the other brands like KEEN. However, we would like to mention once again that the boot is mostly constructed from leather and not rubber. Brands tend to focus on more than only producing work boots and we have seen this with the Red Wing and the Wolverine brand. Both of these brands have been in the game long enough to understand the importance of designing boots for both women and normal dress shoes for the working man looking for something stylish. 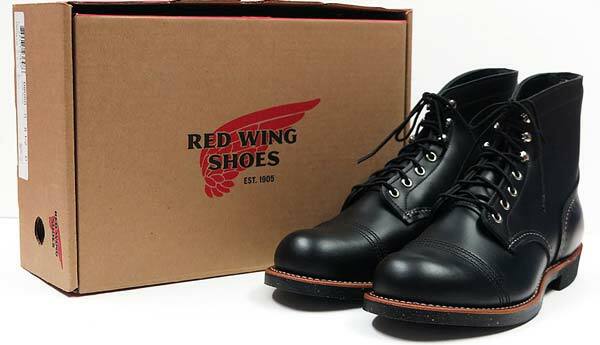 Red Wing: Once again, Red Wing has taken a more traditional approach with the Oxford design in one of their boots and this does resonate well with some of the older workers. They certainly do have some sophisticated designs as well and these designs will be perfect for women. Red Wing has modernized the brand with a small selection of shoes for women as well. 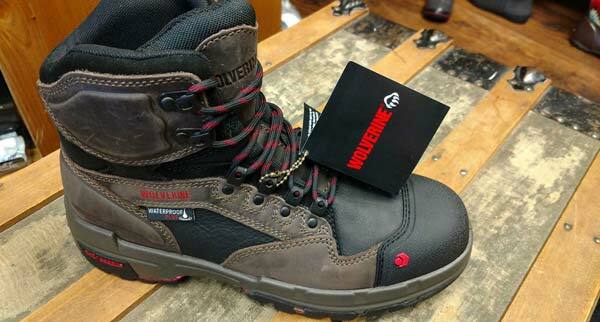 Wolverine: Wolverine has taken this a step further and they have completely focused on the modern society and providing a wide range of different boots that will accommodate the needs of virtually anyone. Wolverine includes a modern Oxford boot that is perfect for the working class man and the selection of women has also been expanded somewhat more. Personally, we feel that when it comes to being spoiled for choice, Wolverine will be one of the top brands that you need to consider and they will offer much more of a variety. Hiking boots have also become a staple and some of the top loggers have found this boot to be really comfortable and well cushioned. To say one is better than the other is not always possible and we can easily make a mistake and insult someone by making such a bold claim. Fortunately, I spent some time with both of the brands and over the years, I have put them to the test. When it comes to style, you could choose Wolverine for the multitude of different choices, but if you are a little more traditional, the Red Wing brand should be perfect for you to wear. Now, we would like to hear a little more about your opinion on these boots and which one you would choose. If you have experience in using both of the brands, we would love for you to share some of your thoughts in the comment section below and inform us to which one you would consider the best and why?